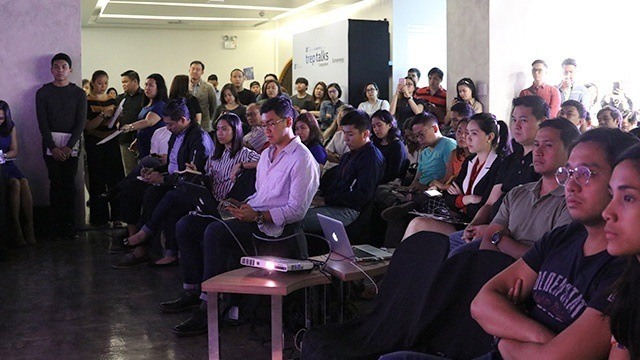 Nearly 100 business owners and aspiring entrepreneurs gathered at Square One in Bonifacio Global City on Wednesday, March 5 for the first edition of Entrepreneur Philippines’ Trep Talks this year. 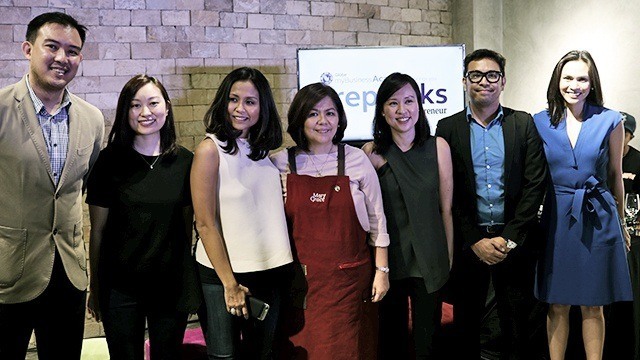 Organized in partnership with Globe MyBusiness, Trep Talks is an informal forum that provides a venue for founders and industry experts to share stories and practical tips on running and growing their business. The participants came to listen and learn from the featured speakers—Abba Napa of the Moment Group and Mary Grace Dimacali of Mary Grace Café—who have made a name for themselves in the local food and restaurant industry. The Moment Group may have 10 homegrown and international brands in its portfolio, but Napa says the company ensures that each can stand and be distinct on its own. With concepts offering everything from Filipino food to modern Japanese, the Moment Group Founding Partner for Development says the company’s constant learning about how the Filipino diner eats help them create brands that can both stir curiosity and maintain a following. This perspective was one of the reasons why Manam, the Moment Group’s take on Filipino food, was born. The restaurant offers local comfort food in serving sizes that can feed from one to six diners, something new for casual dining restaurants that usually offer food for big groups. As for Mary Grace Dimacali of Mary Grace Café, knowing what her market was helped her to decide where to open a new location next. “Look at the ambiance and see if there’s foot traffic there. As for me, they said (Mary Grace Café) was a tita place so I had to see if a certain space has that market,” she quipped. After understanding the market comes the brainstorming for the original concept that aspiring food entrepreneurs would want to put up. Dimacali recalled how she initially thought she would have to copy the look of a popular American chain of coffee shops to succeed. Mary Grace Café first started selling ensaymada and cheese rolls in bazaars in the late 90s, until they were invited to put up a kiosk in Glorietta in 2002. The rest, as they say, was history as the brand now has 15 kiosks all over Metro Manila and 25 restaurant cafes. When a restaurant is finally up and running, the real challenge comes not on the first day you open your doors but in the next weeks, months or even years. How do you keep a customer coming back? While a business owner may have the heart and soul to bring good food to the table, the tricky part is in looking for people who share the same vision. And like any sports team who wants to bag that championship, teamwork can bring any group to their goals. For her part, Dimacali believes in treating her employees as part of the family, as a happy management reflects in the service. “So we don’t have contractual workers because I feel if you treat them right from day one, then it would reflect on how they work and treat our customers,” Dimacali said. Some of Mary Grace Café’s employees have been with them since they started in the early 2000s, as she nurtured her relationship with them through the years. Today, the company has almost a thousand employees running the business. Lit AF: What Do Teens Think Are the Coolest Brands?